Everyone loves the Jeep Forward Control. It’s a cabover lil’ truck thing with that iconic Jeep grille on the front and it’s adorable. 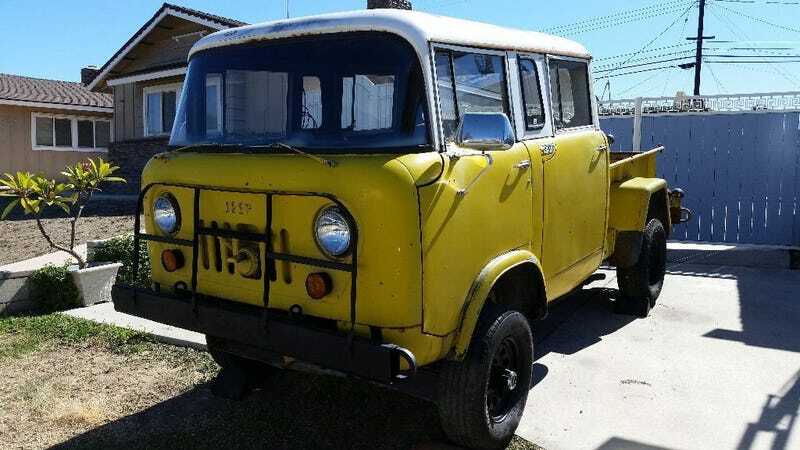 Our friends over at Barnfinds have found a military spec crew cab version of everyone’s favorite stubby Jeep truck. This truck was used by the United States Marine Corps as a transport truck and according to Barnfinds, only 50 crew cab FC-170s were made in 1964. That makes this a seriously rare find. At some point in its life, this truck was painted bright yellow to cover the original military olive drab. Instead of the original three-cylinder motor, the seller notes that this one has a Ford 302 cubic-inch V8. It’s been hot-rodded a bit and I very much appreciate that. Paired to that V8 is a three-speed transmission. Both the seller and Barnfinds note that the truck does indeed run and drive under its own power which is quite a feat for a military vehicle this old. 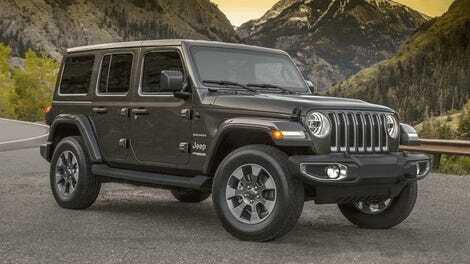 Think of all the things you could do or carry with a crew cab Jeep. It’ll let you carry all your friends and their bags for a road trip. It will also let you carry six or seven fully armed Marines across the battlefield while they lay down suppressive fire on the advancing enemy. The possibilities are endless. The Jeep is currently listed at $9,800 on eBay which is a little high for a 50-plus year old Jeep, but given its rarity it might be worth it. What would you do with a crew cab Forward Control?